As of July 2007, this website is no longer being maintained. 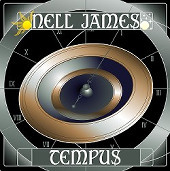 The album Tempus by Nell James is available for digital streaming and purchase on Bandcamp. Nell is still actively creating music (under the name Nell Shaw Cohen) as a professional composer. Her current work may be found at nellshawcohen.com. "TEMPUS" by Nell James is now available for digital streaming and purchase on Bandcamp.